Sarah Montague is a British journalist, best known for her work on BBC Radio 4 as one of the regular presenters of the Today programme. She has also presented Newsnight and HARDtalk on BBC news. Her career began as a private client stockbroker at NatWest, having studied biology at Bristol University. She then decided to make the leap into media, starting out as a reporter and presenter at Channel Television in Guernsey and Jersey. After making the move to London in 1994, she began working as a freelance television news reporter before joining Reuters on their daily business programme. Before starting at the BBC, Sarah was the business presenter at Sky News. 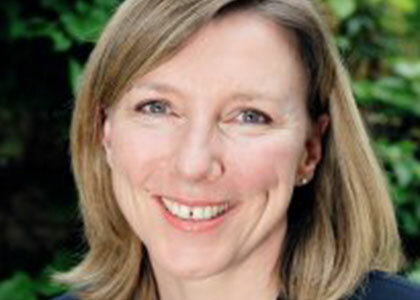 Sarah joined the BBC in 1997 and started on the Today news programme on BBC Radio 4 in 2002. In 2008 she hosted the BBC World’s Nobel Minds in the library of the Royal Palace, Stockholm. The 2008 Nobel Prize winners in Physics, Chemistry, Medicine, Economics and Literature had a round-table discussion on issues of global concern and made their own contributions to the world of knowledge. In 2014 she presented My Teacher is an App, a three-part series for BBC Radio 4 looking at how advances in technology have altered the way the education system works. Sarah works regularly in the corporate sector hosting conferences, chairing discussions and interviewing CEO’s. She has hosted the Nominet Forum for seven years running and has also hosted the Jersey Finance Trusts Seminar for the past four years. She has interviewed Nobel Prize winners for BBC World News.